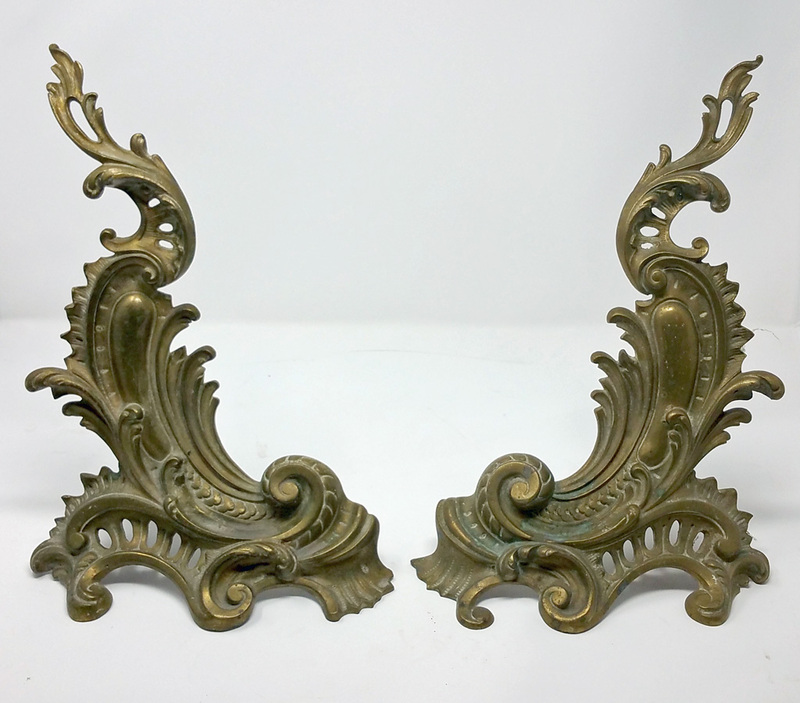 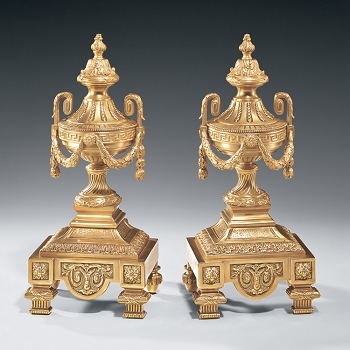 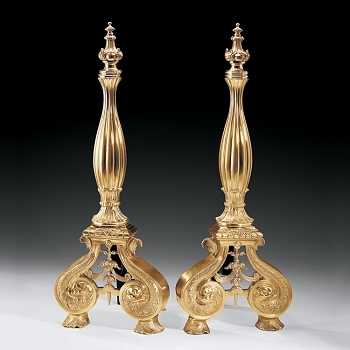 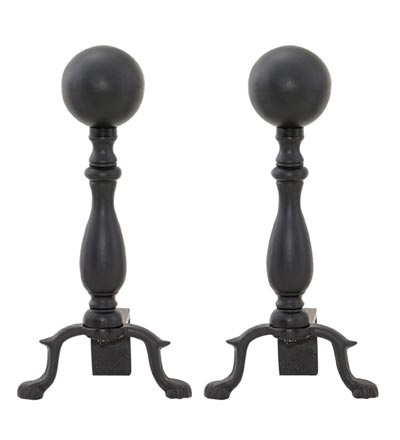 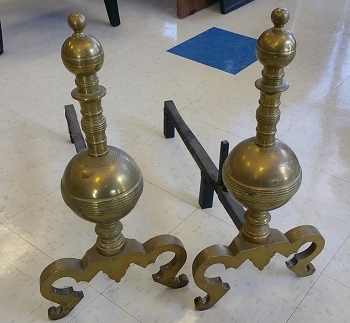 You have to appreciate the over-the-top style of these French style Rococo andirons. 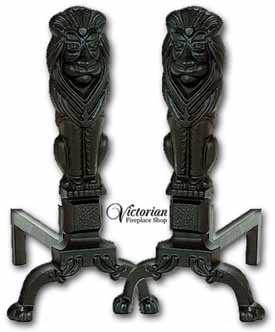 The 1" deep shank in the rear traces to their European manufacturer. 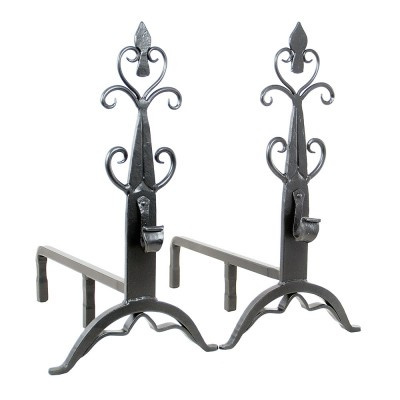 This short shank makes them extra desirable as they can be used set right in front of a set of gas logs. 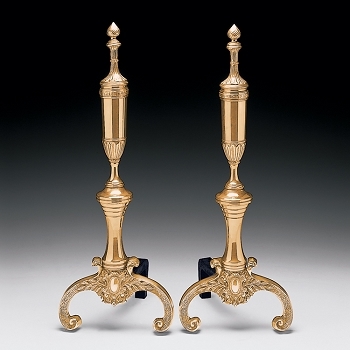 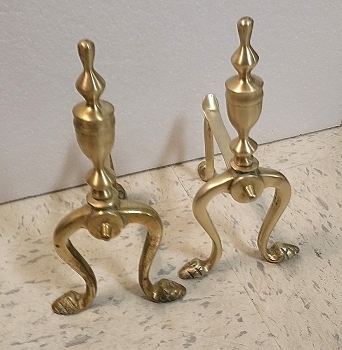 They are made of solid cast brass and are elegantly detailed. 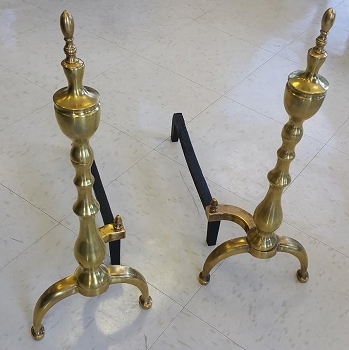 They retain their antique patina; this is a classy way of saying we're not polishing them. 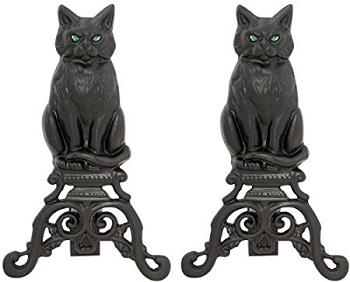 If we did, the price would go up by $200, still making them a bargain compared to what these go for online.